Schedule an Appointment with Dr. Levine. Please fill out the details below. We will call you to confirm your appointment. 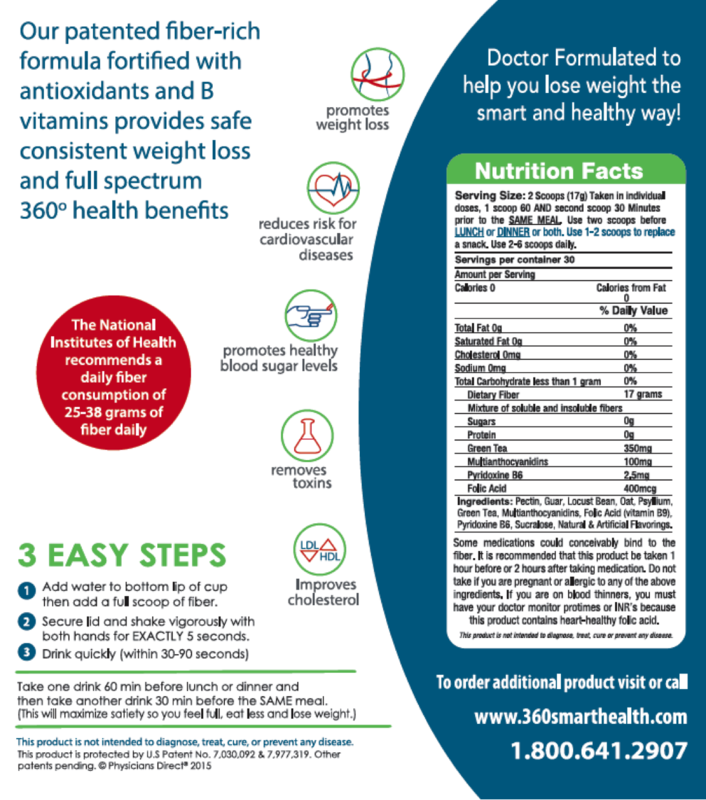 360°smartweight® is a powder that when added to water creates a zero calorie ultra-high fiber beverage that promotes weight loss and improved lipids (blood sugar, cholesterol and triglycerides). It also is a prebiotic that helps nurture good bacteria growth in your gut, promoting a healthy gut microbiome, and further assists your body by removing toxins from your diet. By taking only one serving (one scoop 60 and 30 minutes before only one meal daily) fills your body with the highest fiber beverage in the world- 17 grams of healthy fiber. The fiber expands in your stomach creating satiety, making you feel full, so you eat less and lose weight. The satiety typically lasts for 4-8 hours helping to minimize snacking. There is no healthier way to lose weight. 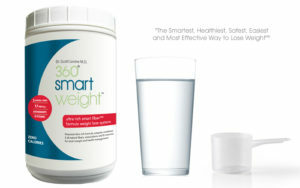 360°smartweight® is not a meal replacement. It is a premeal drink taken before lunch or dinner, which allows you lose weight eating the foods you love, and avoiding dieting. 360°smartweight® consists of 5 different fibers (Pectin, Oat, Locust Bean Gum, Guar and Psyllium) and some antioxidants. It does not contain stimulants and is gluten free. Most people find using 360°smartweight® results in a negative cost, as the daily cost of 360°smartweight® is less than what they would have spent on food and snacks. In addition, the fibers in 360°smartweight® are a prebiotic, helping to improve the bacteria that live in your gut and colon. Prebiotics are a key way to improve the gut microbiome and believed to help reduce the chances of getting many diseases including serious immune related diseases. The gut brain connection has been scientifically proven in that the bacteria in your gut can influence mood and your psychology. In addition, the prebiotics by suppressing the bad bacteria lead to decreased cravings for sweets and junk food. This product is not intended to diagnose, treat, or prevent any disease. Some medications could conceivably bind to fiber. It is recommended that medications not be taken within a 2-hour window of this product. Do not take if you are pregnant or allergic to any of the ingredients listed on the nutrition fact panel. If you are on blood thinners, you must have your doctor monitor protimes or INR’s because the product contains heart healthy folic acid. Schedule a Consultation with Dr Levine. Catering to your personal health and anti-aging needs. Optimizing your wellness inside and out. © Scott Levine, MD. Home of 360 Health. All Rights Reserved.